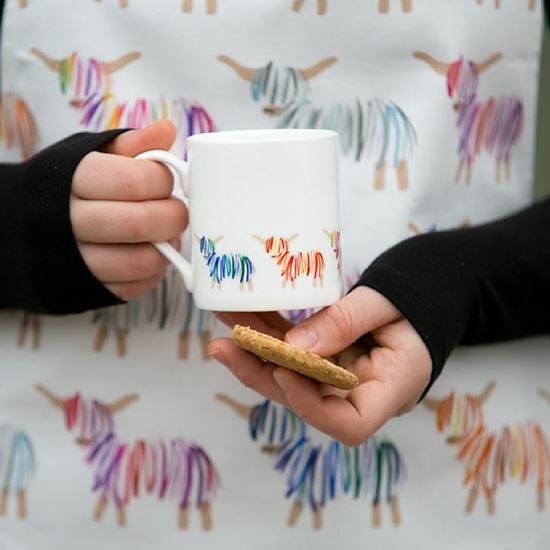 Fine bone china mug adorned with striking highland cow motifs. Made in the UK. Hairy Coo range also available as: Coo Apron, Towel and Tote Bag.